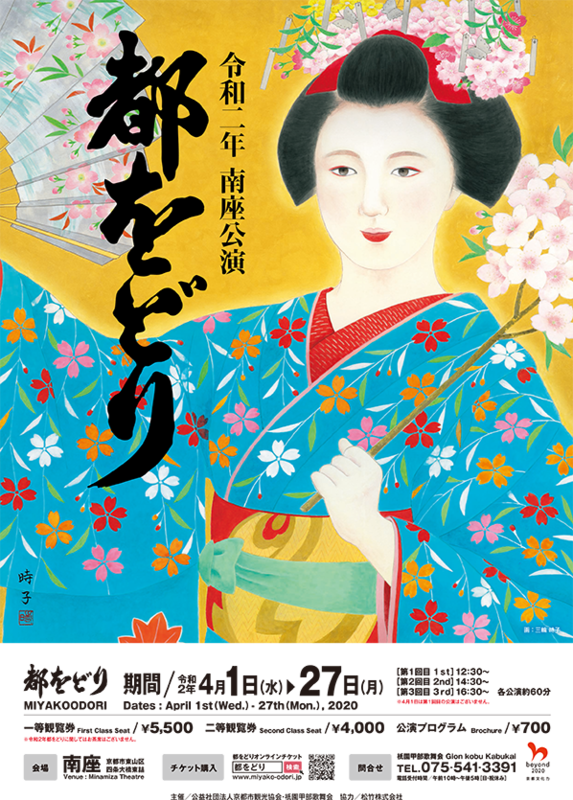 Highlighting the springtime atmosphere, “Miyako Odori” is performed in the newly renovated Minamiza Theatre where festive kaomise kabuki marked the end with a great success. 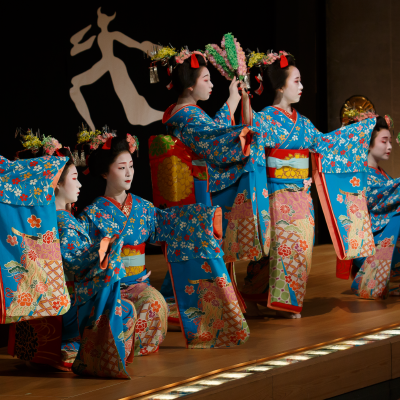 “Miyako Odori first held in 1872 is a beautiful dance performance of eight scenes which begins with the unique loud call “Yoi Ya- Sa-” and all performers dance together in front of sliding screens put on silver foil, representing a court noble house.The dance, this year, progresses from the scene of “Shijo Kawaramachi” the birth place of kabuki, “Katsura Imperial Villa.” “Gian Chaya.” and other places of scenic beauty and historic interest in the vicinity of the Minamiza Theatre and in connection with the Imperial Family, and the finale comes with a scene of cherry blossoms in full bloom at Daikakuji Temple. 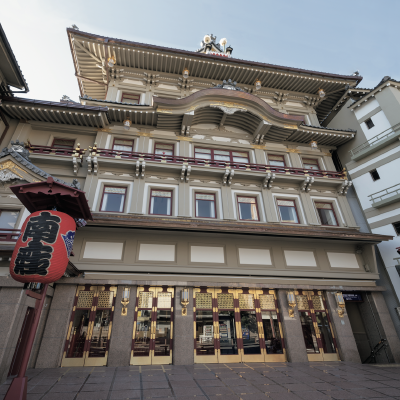 Please allow plenty of time when visiting the theatre as significant traffic congestion is expected in spring tourist season. Copyright © 2018 GION KOBU KABUKAI All Rights Reserved.